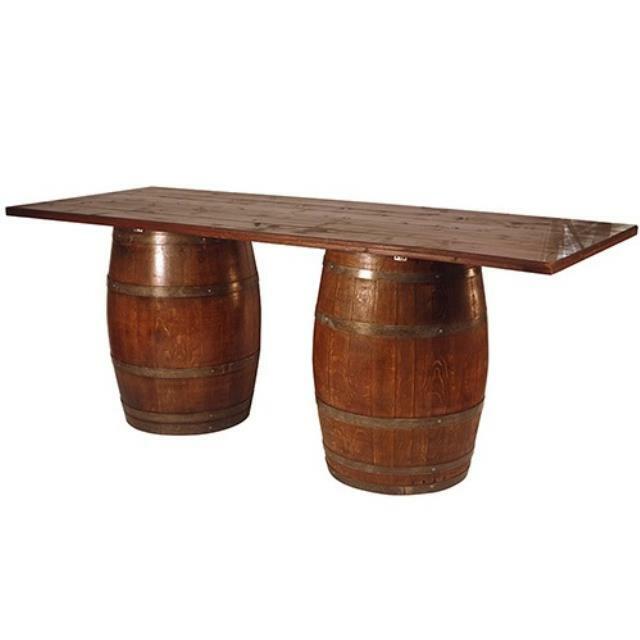 The Wine Barrel Bar includes two wine barrels and a Mahogany Bar Top. Perfect for your winery or rustic themed event! * Please call us with any questions you may have about our wine barrel bar 8 foot 36 inch x96 inch serving the Monterey Peninsula and surrounding communities.